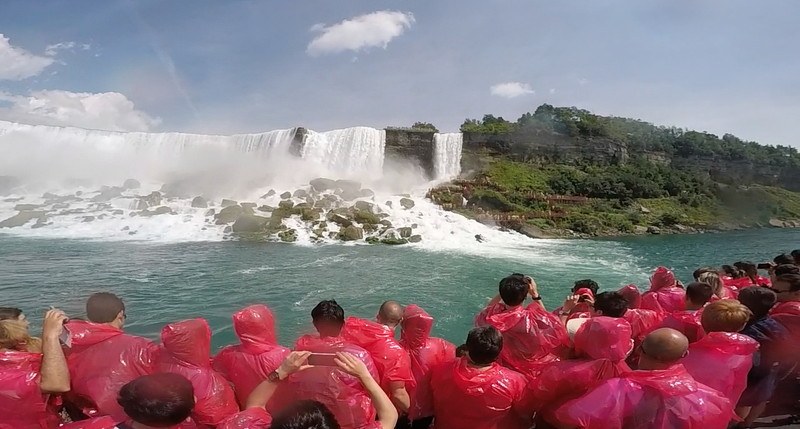 A quick splash in the Falls to work up an appetite for fun. 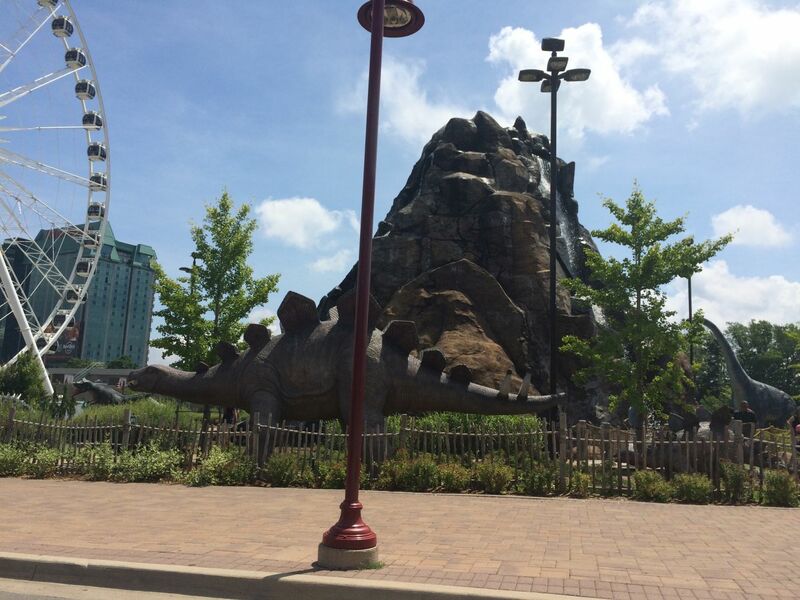 There are a lot more dinosaurs in Niagara Falls than you would expect. 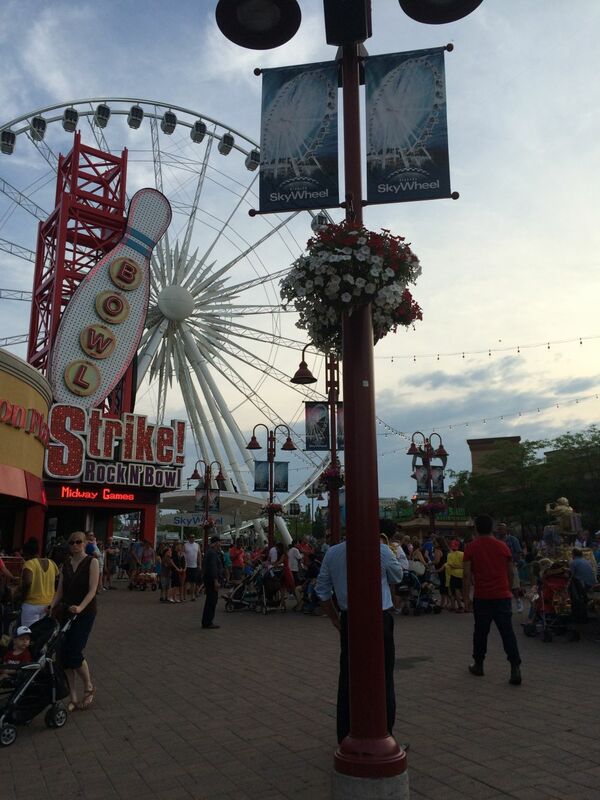 The Boardwalk is a crazy collection of amusement rides, quaky museums and novelty shops. 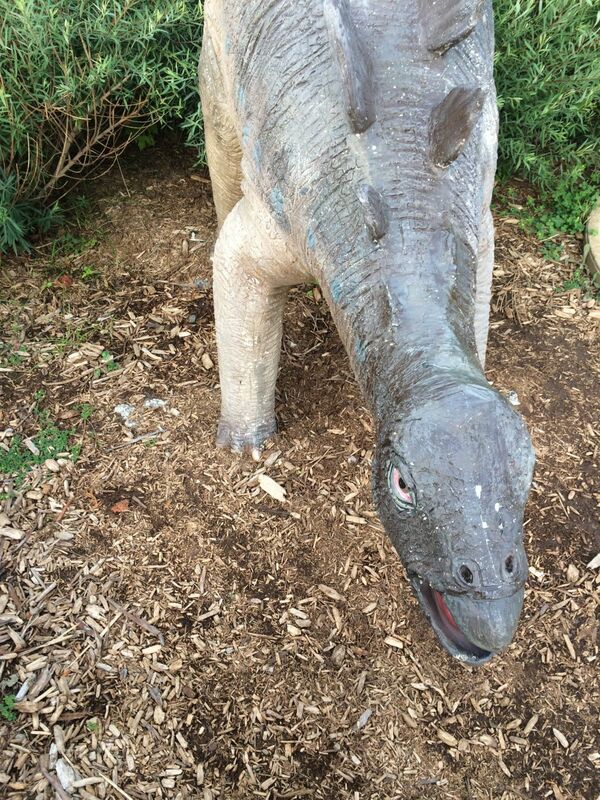 Here is one of the quiet inhabitants of this zoo of a city. 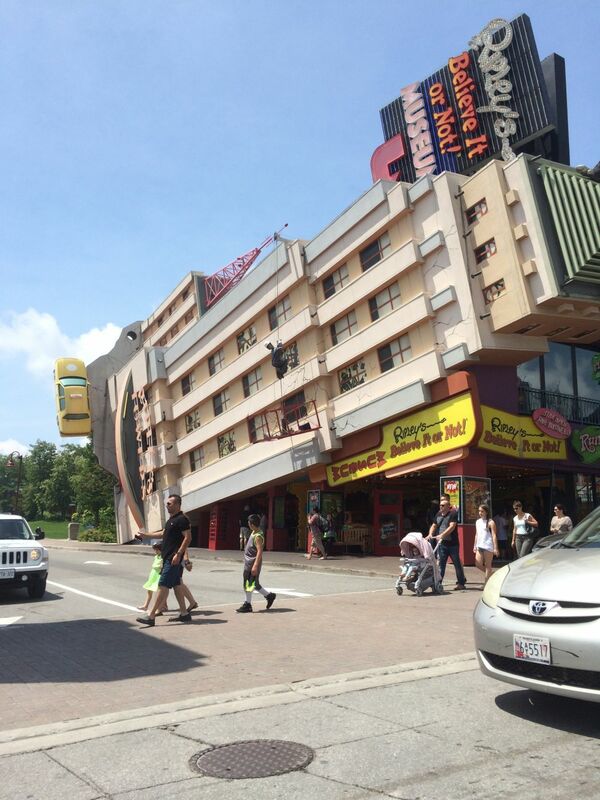 The city has lots to offer if you are into kid friendly, plastic fantastic entertainment. 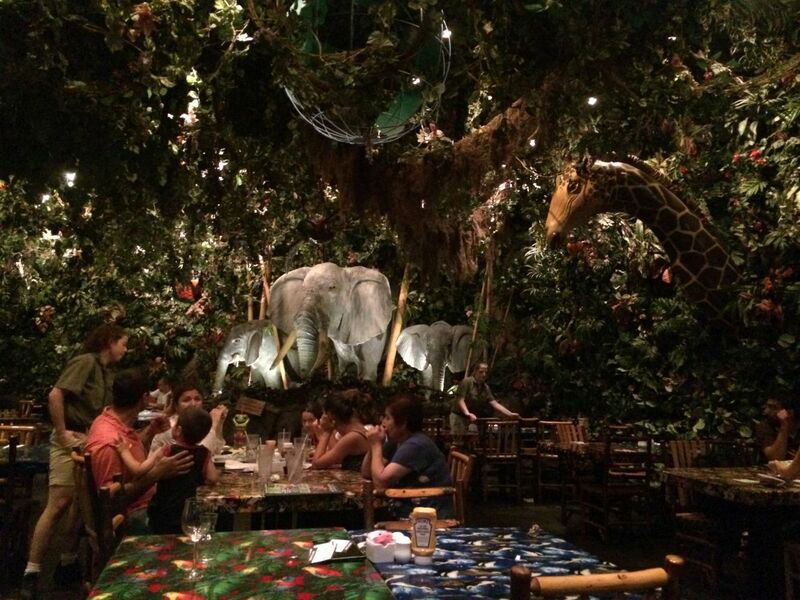 The Rain Forest Caffe is a restaurant chain found all over North America. They go out of their way to create a psychedelic decor with animatronics, light and sounds effects and all things Forest. 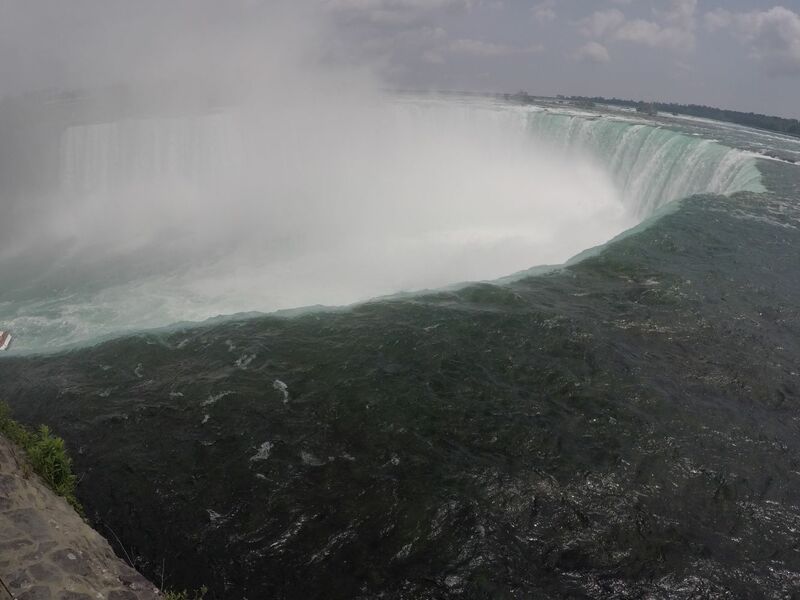 As you would have guessed by now, I did not love Niagara. 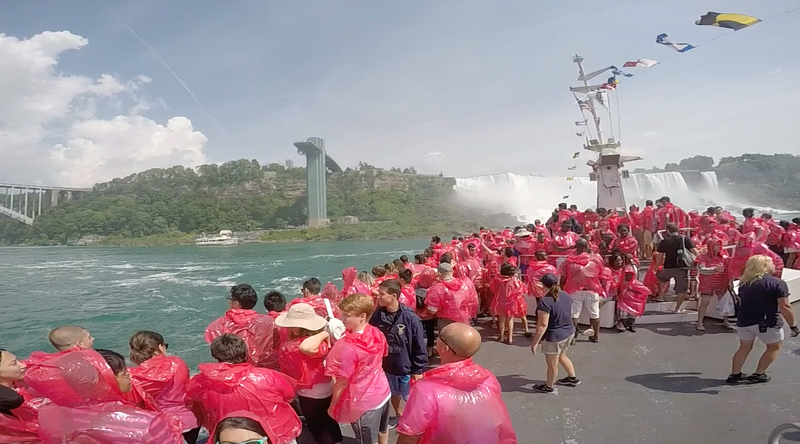 The distractions on the boardwalk are not really my thing and I felt they took away from the respect that the huge waterfall deserves. Getting close to the main act! And this is as close as you can get without hoping onto one of the boats that take you to the middle of the misty falls below. If you decide to hop on a boat ride, prepare for long waiting times and the feeling that you are not the first to come here and explore. 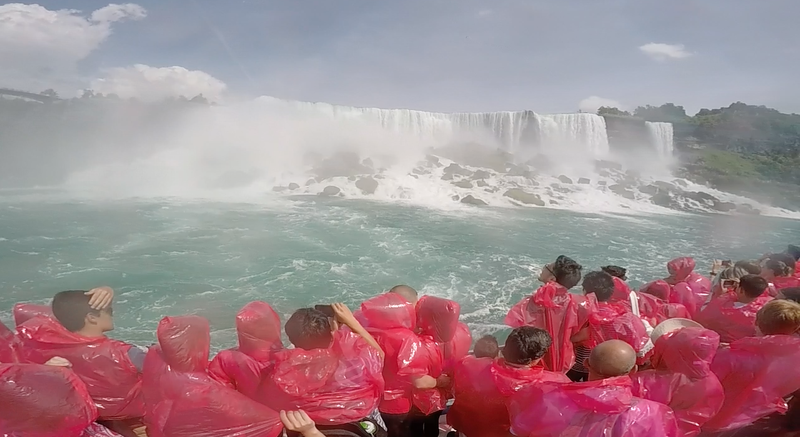 The ride is fun and you get to enjoy awesome views of both the US side and the Canadian side. 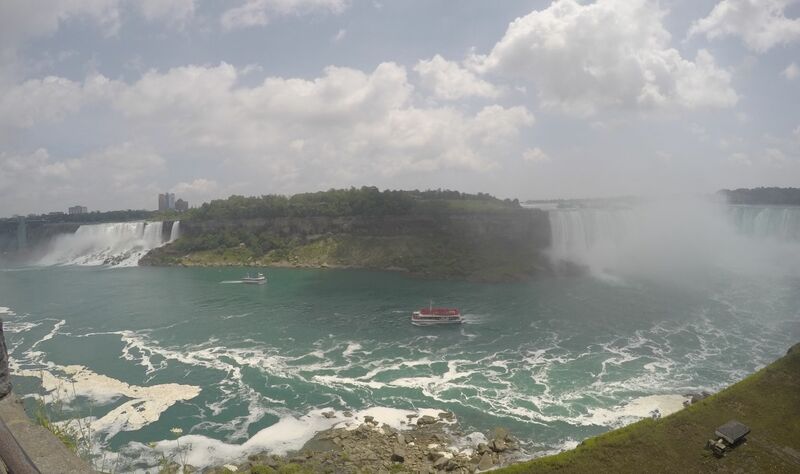 As all Canadians will tell you, the US visiting ledge pales in comparison to what you can see from the Canadian side of the Falls.